Consumables are one of the least exciting parts of Ultimate Team. Nevertheless, just as important and an integral factor. Irrespective of whether you are dealing with fitness, contracts, position changes or managers, there is always a huge profit to be made. What are the Basics Of The Market? Similar to players, there will never be a fixed set price for consumables. Depending on the day, a squad fitness can cost 800 coins on a certain day or 2,000 the next. There is no generic rule to say how much value a set item may have. There is no easy answer to why there is or what causes such a wide fluctuation of prices of items. We have a list of factors that influence the market at different times. Every factor affects the market in its own way. You do not need to be an expert to makes lots of profit from consumable trading. However, if one has a good and sound understanding of the market, they can maximize their profits. Selling a card in a bid and buy now are two different things. It is much better if a card sells for buy now because you usually can maximize your sale price. For example; if you wanted to sell a squad fitness right now, you could undercut by 200 coins and a bot would pick it up easily. Or instead you could simply be a little patient and listed it for the current market value, As the timer runs low it would easily have been bought for whatever price you sell at. Player cards can be difficult to trade with sometimes. It’s a fine exercise in careful control of spreading your transfer list and targets space equally over all the potential you can discover. Imagine a scenario where there were no restrictions. You can store as many consumable cards as you want and completely control the market if you’d like. This is used by some and downright abused by some others. Hop onto the market and locate the least expensive accessible squad fitness card. We’ll spare you the time. You cannot. (well, regardless of whether you discover it you most definitely won’t beat the bots to get it). There’s a basic explanation behind this. The way the search mechanics and filters are set up just won’t allow it. You can select your consumable, you can set your price ranges, you can even choose the rarity, yet the filters just aren’t specific enough to make this a simple find. However, they can be! When players search for a consumable, they usually adjust either the BIN price OR the min/max price. While this is useful when searching for players, it is nothing but nightmares with regard to consumables. On the off chance that you decided that you needed to purchase Casemiro, you can just type his name into the search window and bam! A load of results pops up. How about we imagine that to find Casemiro, you needed to just enter Real Madrid as the club and search. Of course we will find him, however, we will also find every other available United player. This is the issue when we search for consumables. Do you need a specific manager? Sorry, you’ve gotta see them all. A stadium? You will have to sift through everything! Squad fitness? Alas, you have to crawl through all non-rare individual cards as well. Now let’s make searching for Casemiro a tad bit easier. Firstly, we shall eliminate any other Real Madrid player that is cheaper than his minimum BIN price (you can do this by setting the minimum BIN to Casemiro’s). 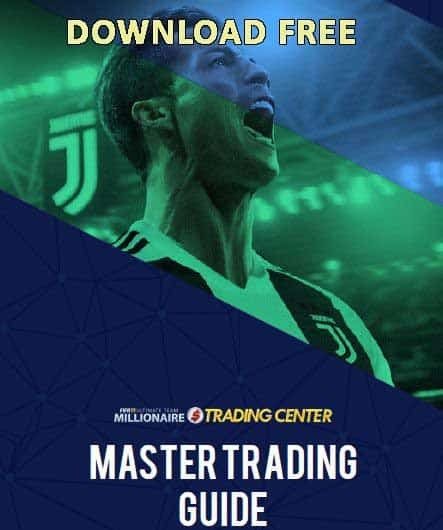 Now, let’s set the maximum BIN price to his max (you do not want to go any lower than this as you would eliminate cards with a high BIN but low bidding price). Lastly, let’s set the maximum price to what you can afford or are willing to pay (this eliminates things outside your budget). Boom! The most efficient list of available Casemiro’s you can create! 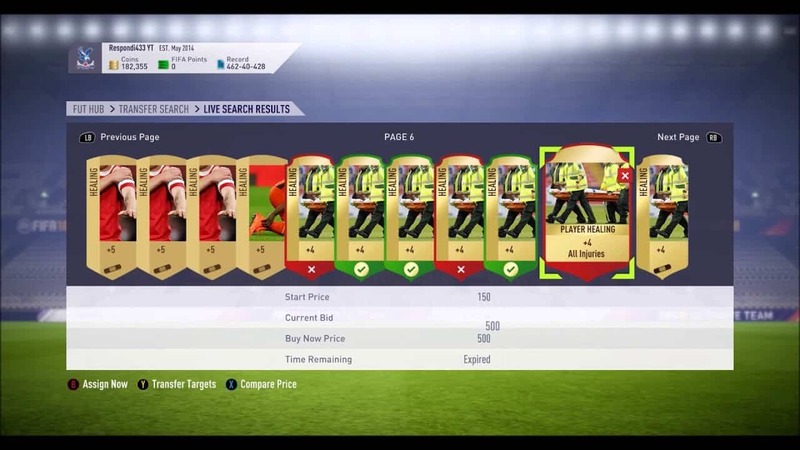 Minimum BIN to what we know they sell for usually (this will eliminate any single fitness cards with smaller BIN’s). Max bid price to the max that we are willing to spend. This is the best way to efficiently get results. 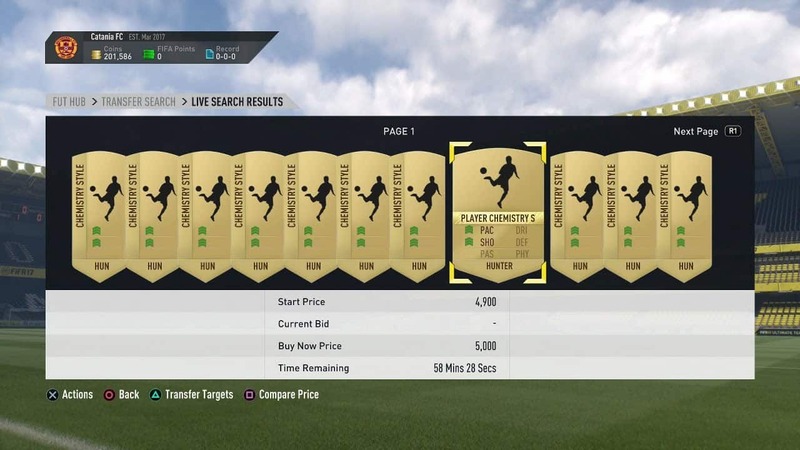 Sniping / Mass Bidding Consumables. We should start with the easiest methods that can e used by anyone regardless of how experienced they are at FIFA and FUT. Like always, filters are key. It is usually the max BIN that matters if you are sniping. (All the best trying to snipe something like squad fitness). It all comes into play when you are mass bidding. Winning anywhere from 3-6% of your bid is an incredible deal. Remember never to get greedy. Always enter with realistic expectations and you won’t end up being disappointed.